Abstract: Paper aims: Based on the naval logistics doctrine, this paper describes and analyzes the Brazilian Navy's actions and the obstacles encountered in humanitarian operations conducted during the earthquakes in Haiti and Chile, both in 2010. Originality: The main contribution is to report the use of Brazilian military personnel in humanitarian operations, with its distinct characteristics, serving as a basis for future works on this theme. Research method: The research is qualitative and descriptive with an exploratory objective, based on Brazilian Navy mission reports, the legal doctrines that govern military logistics, and interview with militaries. Main findings: The analysis of the reported cases brings lessons that the Naval Force may incorporate into possible future humanitarian operations. Aguilar, S. (2012). Emerging power, humanitarian assistance and foreign policy: the case of Brazil during the earthquake crisis in Haiti. International Journal of Humanities and Social Science, 2(19), 93-101. Altay, N., & Green III, W. G. (2006). OR/MS research in disaster operations management. European Journal of Operational Research, 175(1), 475-493. http://dx.doi.org/10.1016/j.ejor.2005.05.016. Balcik, B., Beamon, B. M., Krejci, C. C., Muramatsu, K. M., & Ramirez, M. (2010). Coordination in humanitarian relief chains: Practices, challenges and opportunities. 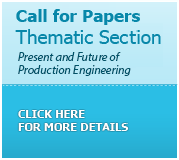 International Journal of Production Economics, 126(1), 22-34. http://dx.doi.org/10.1016/j.ijpe.2009.09.008. Behl, A., & Dutta, P. (2018). Humanitarian supply chain management: a thematic literature review and future directions of research. Annals of Operations Research , 1-44. https://doi.org/10.1007/s10479-018-2806-2. Brasil. (1988, October 5). Constituição da República Federativa do Brasil de 1988. Diário Oficial da República Federativa do Brasil. Brasil. (1999, June 9). Lei Complementar nº 97, de 9 de Junho de 1999. Dispõe sobre as normas gerais para a organização, o preparo e o emprego das Forças Armadas. Diário Oficial da República Federativa do Brasil. Brasil, Ministério da Defesa. (2001, June 29). Diretriz Ministerial nº 04/2001. Emprego das Forças Armadas em Defesa Civil, de acordo com o Decreto nº 3.466, de 17.05.2000 que aprova a Estrutura Regimental do Ministério da Defesa à luz da Lei Complementar nº 97, de 9 de junho de 1999, cabendo ao MD emitir diretrizes para a participação das Forças Armadas nas atividades relacionadas com a Defesa Civil. Diário Oficial da República Federativa do Brasil. Brasil, Estado Maior da Armada. (2003). EMA-400 - manual de logística da marinha (2. rev.). Brasília: Marinha do Brasil. Brasil, Ministério da Defesa. (2006, December 29). Portaria Normativa n. 1890 de 23 de junho de 2016. Dispõe sobre a Política de Logística de Defesa (1. ed.). Brasília: Secretaria de Ensino, Logística, Mobilização, Ciência e Tecnologia. Brasil, Marinha do Brasil. (2010a). Marinha participa de ajuda humanitária ao Haiti (NOMAR, no. 813, p. 6-7), Brasília: Centro de Comunicação Social da Marinha. Brasil, Marinha do Brasil. (2010b). Hospital de Campanha da Marinha presta atendimento às vítimas do terremoto no Chile (NOMAR, no. 815, p. 3), Brasília: Centro de Comunicação Social da Marinha. Brasil, Marinha do Brasil. (2010c). Hospital de campanha completa serviço no Chile (NOMAR, no. 816, p. 6), Brasília: Centro de Comunicação Social da Marinha. Brasil, Ministério da Defesa. (2010d). Relatório de ajuda humanitária da marinha no Haiti (Carta externa; no. 40-478/2010). Brasília: Secretaria de Ensino, Logística, Mobilização, Ciência e Tecnologia. Brasil, Ministério da Defesa. (2010e). Terremoto no Haiti (Comunicado de Imprensa; no. 3). Brasília. Brasil, Ministério da Defesa. (2010f). Operação conjunta entre as marinhas do Brasil e da Itália no Haiti (Comunicado de Imprensa). Brasília. Brasil, Ministério da Defesa. (2012). Livro branco de defesa nacional – LBDN. Brasília. Brasil. (2013, September 25). Decreto Legislativo nº 373. Política Nacional de Defesa. Diário Oficial da República Federativa do Brasil. Brasil, Estado Maior da Armada. (2014). EMA-305- doutrina militar naval (2. rev.). Brasília: Marinha do Brasil. Brasil, Ministério da Defesa. (2016, June 23). Portaria Normativa n. 40/MD de 23 de junho de 2016. Aprova a Doutrina de Logística Militar (MD 42-M-02, 3. ed.). Brasília: Estado-Maior Conjunto das Forças Armadas. Burkle Junior, F. M. (2005). Anatomy of an ambush: security risks facing international humanitarian assistance. Disasters, 29(1), 26-37. http://dx.doi.org/10.1111/j.0361-3666.2005.00272.x. PMid:15720379. Costa, N. B. O. L., Fontainha, T. C., & Leiras, A. (2017). Brazilian Air Force operations in disaster response – a process analysis. Disaster Prevention and Management: An International Journal, 26(4), 479-498. http://dx.doi.org/10.1108/DPM-04-2017-0081. Eriksson, K. (2009). Knowledge transfer between preparedness and emergency response: a case study. Disaster Prevention and Management: An International Journal , 18(2), 162-169. http://dx.doi.org/10.1108/09653560910953234. Fontainha, T. C., Leiras, A., Bandeira, R. A. M., & Scavarda, L. F. R. R. (2017). Public-private-people relationship stakeholder model for disaster and humanitarian operations. International Journal of Disaster Risk Reduction, 22, 371-386. http://dx.doi.org/10.1016/j.ijdrr.2017.02.004. Guha-Sapir D., Hoyois P. H., Wallemacq P., Below, R. (2017). Annual disaster statistical review 2016: the numbers and trends. Brussels: Cred. Heaslip, G., & Barber, E. (2014). Using the military in disaster relief: systemising challenges, and opportunities. 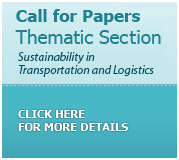 Journal of Humanitarian Logistics and Supply Chain Management, 4(1), 60-81. http://dx.doi.org/10.1108/JHLSCM-03-2013-0013. Leaning, J., Briggs, S., & Chen, L. C., (1999). Humanitarian crises: the medical and public health response. Cambridge: Havard University Press. Leiras, A., Brito Junior, I. B., Peres, E. Q., Bertazzo, T. R., & Yoshizaki, H. T. Y. (2014). Literature review of humanitarian logistics research: trends and challenges. Journal of Humanitarian Logistics and Supply Chain Management, 4(1), 95-130. http://dx.doi.org/10.1108/JHLSCM-04-2012-0008. Oloruntoba, R. (2010). An analysis of the Cyclone Larry emergency relief chain: some key success factors. International Journal of Production Economics, 126(1), 85-101. http://dx.doi.org/10.1016/j.ijpe.2009.10.013. Pettit, S. J., & Beresford, A. K. C. (2005). Emergency relief logistics: an evaluation of military, non-military, and composite response models. International Journal of Logistics: Research and Applications, 8(4), 313-331. http://dx.doi.org/10.1080/13675560500407325. Tatham, P., & Rietjens, S. B. (2016). Integrated disaster relief logistics: a stepping stone towards viable civil-military networks? Disasters, 40(1), 7-25. http://dx.doi.org/10.1111/disa.12131. PMid:26271356. Van Wassenhove, L. N. (2006). Blackett memorial lecture, humanitarian aid logistics: supply chain management in high gear. The Journal of the Operational Research Society , 57(6), 475-489. http://dx.doi.org/10.1057/palgrave.jors.2602125. Vilela, F. F. (2015). O emprego da Marinha do Brasil na ajuda humanitária: capacidades e limitações (Monografia). Escola de Guerra Naval, Rio de Janeiro. Weeks, M. (2007). Organizing for disaster: lessons from the military. Business Horizons, 50(6), 479-489. http://dx.doi.org/10.1016/j.bushor.2007.07.003. Yanez, R. (2012). O novo papel das forças armadas chilenas em caso de desastres naturais (Monografia). Escola de Guerra Naval, Rio de Janeiro. Yin, R. K. (2013). Case study research: design and methods (5th ed.). Thousand Oaks: Sage Publications.